In this module, we will be learning how to set up our basic environment for coding, using the basic draw commands in p5js, and reviewing the research paper using a Bivariate analysis framework. Watch videos 2.1–2.5 at The Coding Train. Who was Sol LeWitt? Watch the video from Tate London. 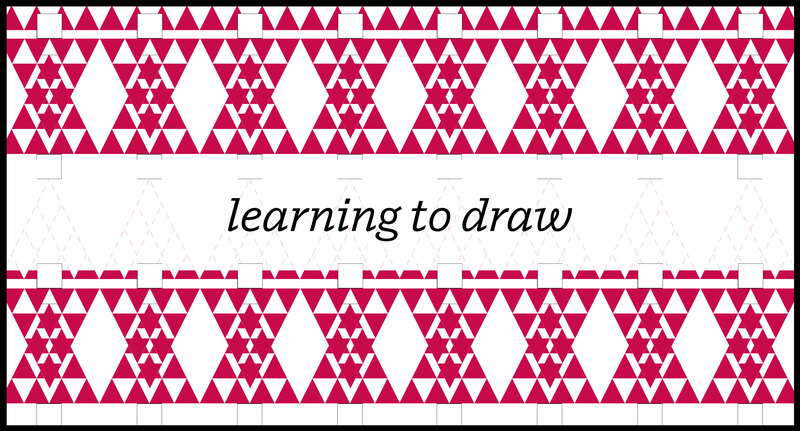 As useful exercise to familiarize yourself with the drawing tools, calls, commands, and objects of p5, you will be re‐creating a work of art from a historical creator. These artists, primarily painters, often worked with similar procedural systems to create abstract geometries for specific purposes. Your job is to recreate one of their works in the browser using the tools of p5. Additionally, you should be familiar with your chosen artist and be prepared to briefly discuss their biography, era/movement association, and philosophical perspective. Make sure your aspect ratio of your work is matched in your canvas. You may either make graphics calls in the setup() or draw() functions, but don’t worry about animation or interactivity for the time being. You will need to research the color, shape, and rendering sections of the API in the p5js reference to recreate your work. You may use the translation properties in conjunction with push() and pop().